Starting on May 15th, 1998, Idyle Software will be using Digital River’s services. 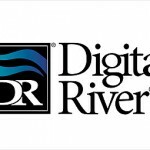 DR (Digital River) is the biggest software reseller and has agreements with more than 150 third-party resellers. Digital River’s services include reliable and secure web servers, which translates into fast and efficient software purchases. Idyle Software has thus signed a contract with DR, in order to efficiently sell all of their software (as of now, Agenda 98, Desks At Will, GimmIP, Phone Book 97, Phone Book PRO 97, Tasks Manager 98 and Tray Minimizer). Digital River only sells thru the internet, all major credit cards being accepted. The response time is way quicker than what it used to be. All other orders (phone, e-mail, postal mail) will still be handled by Kagi. For more information, you can contact Idyle Software’s sales department by e-mail at sales@idyle.com. Is Phone Book Pro 97 available from you? Is there a version that will run on Windows 7? Hi Richard. Yes, Phone Book Pro 97 was distributed by Idyle in the late 90’s and early 2000’s. The company shutdown its activities in 2004 though and the software hasn’t been distributed since then. It is no longer available. Thanks for the interest though. Were you a user from the early days? If you don’t mind me asking, what led you to search for the product so many years later?